Much has been written about interview preparation. Many books are available on the subject and you will also find guidelines on the Internet. 1. Do your research Fail to plan, and you plan to fail. You are certain to be asked specific questions about the company, so make sure you’ve done your homework on things like their last year’s profits and latest product launches. Also take a look at the latest developments in the industry so you can converse with confidence. 2. Practice your answers Although there is no set format that every job interview will follow, there are some questions that you can almost guarantee will crop up. You should prepare answers to questions about your personal strengths and weaknesses, as well as being able to explain why you would be the best person for the job. 3. Look the part Appearances shouldn’t matter, but the plain fact is that you are often judged before you’ve even uttered a word. Make sure your shoes are polished, your clothes fit correctly and that your accessories are subtle. Dressing one level above the job you’re applying for shows a desire to succeed. 4. Stay calm Good preparation is the key to staying in control. Plan your route, allowing extra time for any unexpected delays and get everything you need to take with you ready the night before. Remember to speak clearly, smile and remember that your interviewers are just normal people, and the may be nervous too! The first few Minutes is all it takes to form an impression – once formed, that impression is very difficult to change. Therefore remember to dress appropriately, speak clearly, have good eye contact, have a firm handshake, answer questions appropriately, and make sure that you seem interested. Whatever you do, do not rush in late and frazzled! It can take just a quick glance, for someone to evaluate you when you meet for the first time. In this short time, the other person forms an opinion about you based on your appearance, your body language, your demeanor, your mannerisms, and how you are dressed. With every new encounter, you are evaluated and yet another person’s impression of you is formed. These first impressions can be nearly impossible to reverse or undo, making those first encounters extremely important, for they set the tone for all that follows. • Find out about the job and the company. This is will show your interest in the job. • Know how to get to the interview, where is it on? Check your directions and prepare. 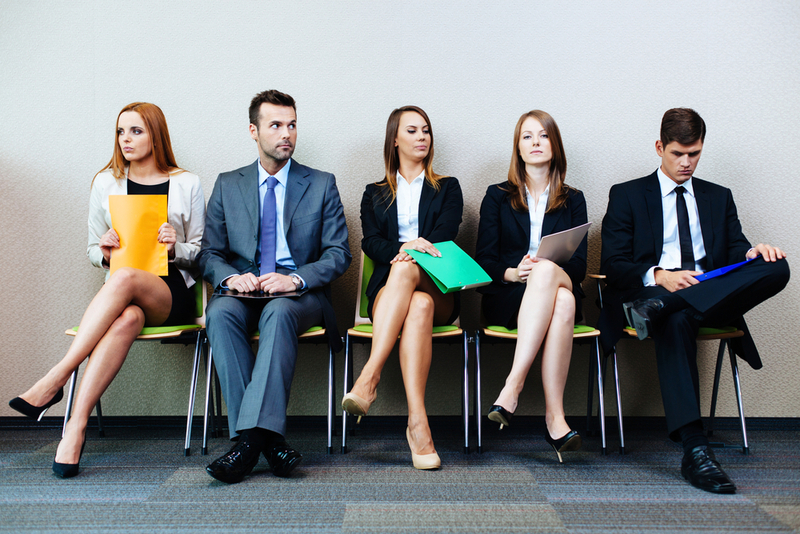 • Find out about the format of the interview and the number of people on the interview panel. • Study well what you wrote on your application form, cover letter or CV as these documents will provide the basis for the questions that you are likely to be asked. • Prepare four or five key messages that you want to emphasise about yourself at the interview. • Prepare answers to the questions that you think you might be asked (see interview question list at bottom of page). • Have a mock interview with somebody. A mock interview is a practice interview. If possible try to ensure the “interviewer” is someone who is familiar with the type of job you are being interviewed for. • Be prepared for some tough questions. The interviewer will be assessing your motivation and attitude plus your ability to deal with difficult situations, think on the spot, etc. – Questions you have related to the job profile etc. • Decide on your interview clothes. Choose something that is in keeping with the job you are applying for. However make sure it is an outfit that you are comfortable wearing. • Prepare any documentation you need to bring with you: Copies of C.V., References, Samples of work, etc. • Remember the interview starts the moment you enter the building. • Arrive about 10 minutes early just in case of ‘hold ups’ along the way. • Listen carefully and answer the question asked. • Ask for clarification if you don’t understand a question. • Make sure you do most of the talking. • Remember the interview is a two way process. Ask your questions at the appropriate time. This also shows interest and enthusiasm for the job. REMEMBER: Use every opportunity to show that you are a very competent, pleasant and professional person who is genuinely interested in the job. Go back to a question that you didn’t feel you answered fully, if you feel you would like to add something more. Thank the interviewer when the interview is over. • What skills, qualities and experience do you bring to this job? • How would your work colleagues describe you? • Do you like to work as an individual or as part of a team? Why? • Describe a situation in which you had to work to deadlines? • Describe a conflict you encountered and how you handled it. • What are your greatest strengths? • What are your weaknesses? • What motivates you? • To date, what have been your greatest achievements? • What have you been doing since your last job? • Why are you leaving your present position? • What position do you expect to hold in five years? • What you did well at the interview? • What you would like to improve on for the next interview? • You may in the following weeks contact the company to ask for feedback.